Best to have a pair of guns when “on peg” in Spain. 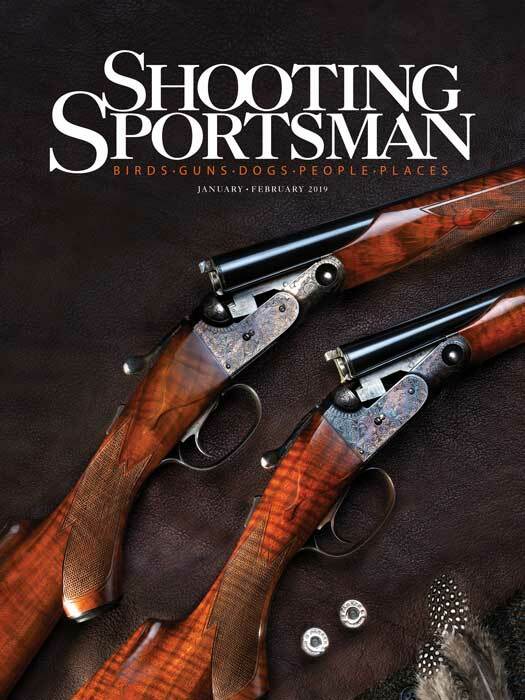 “Any advice on where I should go wingshooting this year?” It’s a question as old as time (OK, maybe not that old) and one the Shooting Sportsman crew gets asked again and again whenever we attend shows and shoots. 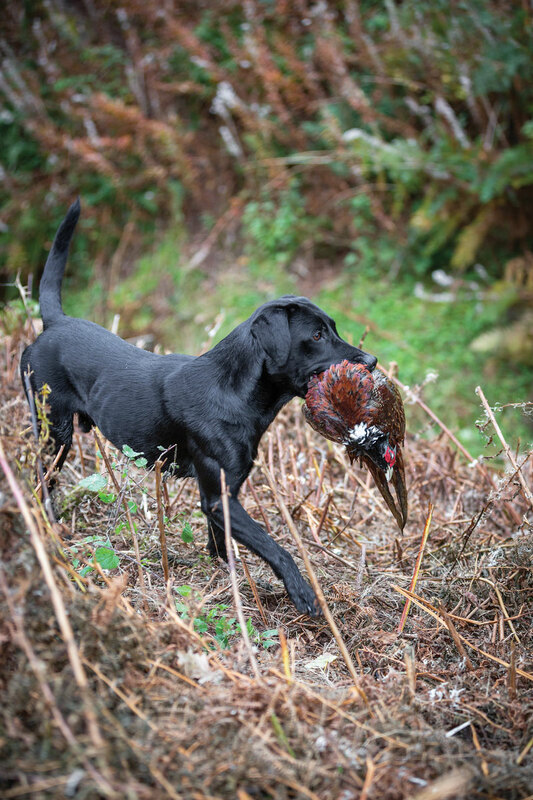 It seems that everyone is looking for an inside track in ferreting out the top spots to hunt—and why not ask the people who have been there, done that when it comes to wingshooting? Of course, not all of our crew attends every event—and not all of our readers show up to ask questions—so we decided to poll a dozen of our masthead editors about their favorite destinations. As you’ll see, the answers vary widely: basically everything from backyards to halfway around the globe. And it isn’t always about bird numbers, as people, places and overall experiences play heavily in the choices. Perhaps some of these spots will make it onto your list of places to visit next season . . . . 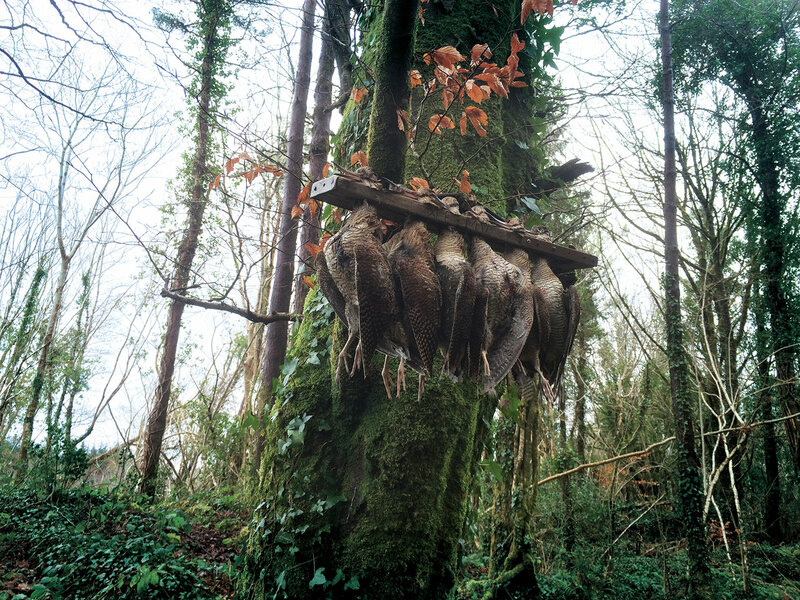 I have been lucky through my work to shoot at some of the finest sporting estates in the UK. One memorable drive that can match the best anywhere is “The Face,” at Thirlestane Castle, in the Scottish Borders. This drive is so named because, when viewed from across the valley over a sea of mature Scots pines, there is a large area that resembles the face on a postage stamp. The Face is exactly what a pheasant drive should be: high, testing birds offering thrilling sport to the most experienced Guns, with the quantity of birds and duration of the drive making you wonder if you are going to run out of cartridges before you run out of pheasants! 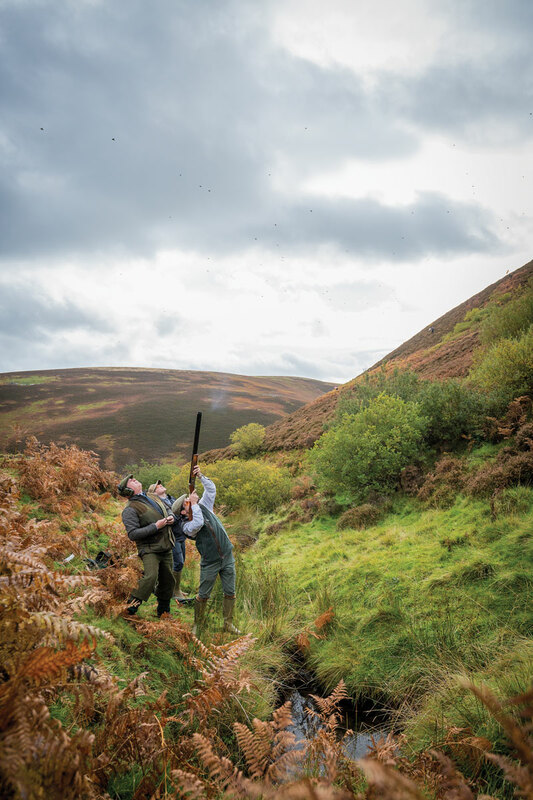 Wilson Young and his son Wilson Jr., who have run Eskdale Shooting Services since 1980, are the hosts of this and many other exceptional shoots in the Scottish Borders. Such is the demand to shoot The Face that a client offered a considerable sum to Wilson Sr. if he could shoot the drive every time it was shot! A word of advice if you ever have the opportunity to shoot “The Face”: Bring enough cartridges! The volume of cover around Hayward, Wisconsin, is hard to describe. Driving west out of town, the shopping block gives way to farmland, and then to a vast timbered countryside. There are acres of popple whips, logging roads and swamps—more than enough space for a grouse and woodcock hunter to live out a thousand Octobers. If there were a moment I could relive in perpetuity, it would be one I spent outside Hayward with Mark Nissen and his string of Brittanys. We’d only just dipped into a fir-strewn cut when a half-dozen ruffs blew out in front. I swung and kept swinging and managed a double. Mark was perhaps even more demonstrative than I was. “We need to celebrate!” he said, beaming. I agreed, and we made the trek into town, I assumed for a glass of the good stuff. But Mark tromped on past the watering hole and into West’s ice-cream parlor. “I’m buying,” he said. “Anything you want!” And in that moment I fell wholly for northern Wisconsin, its birds and the people who pursue them. A pair of Wiscsonsin ruffs worth celebrating. 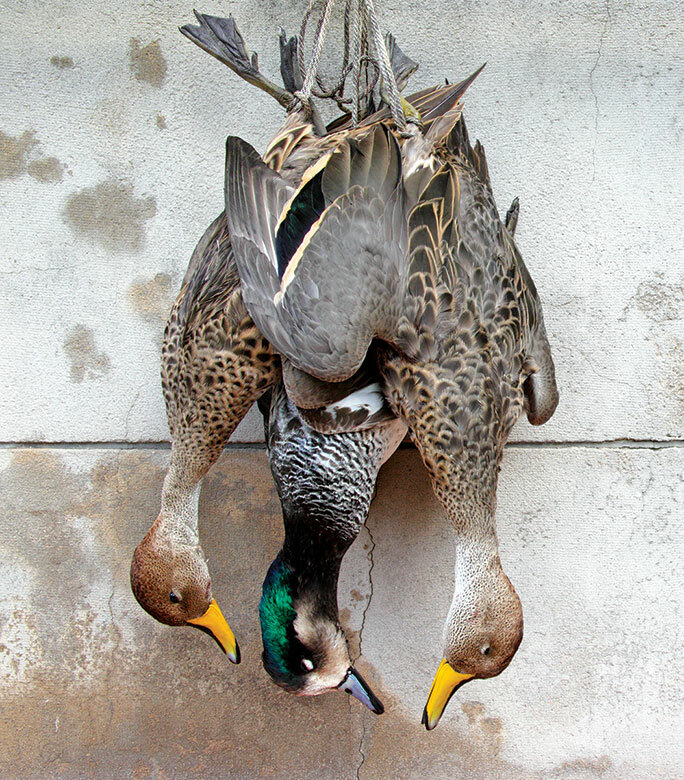 Photograph courtesy of Classic Bird Hunts. To an Argentine, they are “pato, perdiz y paloma.” To you and me, they are pure shooting fun. I’m talking about a hunting trip where you take decoyed ducks over ponds in the morning, walk up partridge over pointers at midday and have at endless flights of doves in the afternoon. When you are not shooting, you are eating the best beef in the world, and then sleeping the sleep of the just. These Argentine three-bird packages are normally in the Entre Ríos Province north of Buenos Aires. 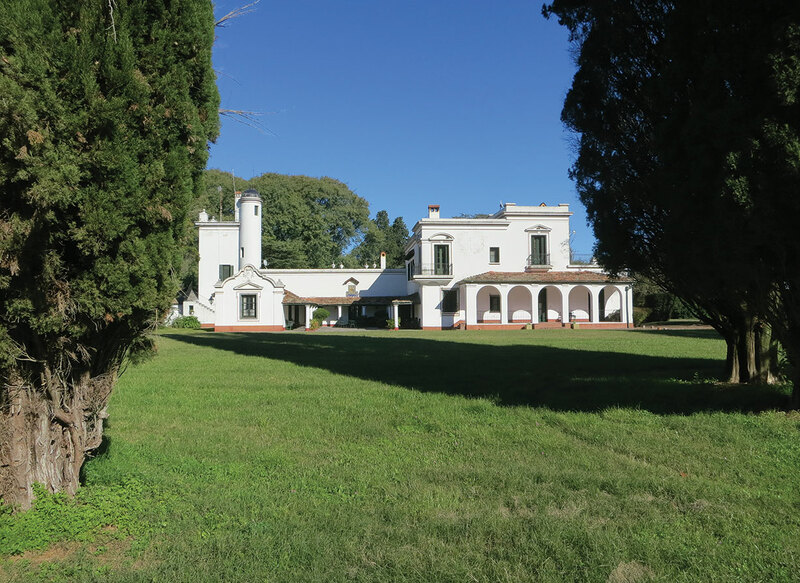 That’s where Shooting Sportsman’s Readers & Writers group went this past summer to enjoy five days at South Parana Outfitters’ magnificent Estancia San Ambrosio. In addition to the hunting, since you are down there, spend a day or so touring Buenos Aires. It is a modern city with pleasant people and most-entertaining tango clubs. Un pato (in this case a rosy-billed pochard). 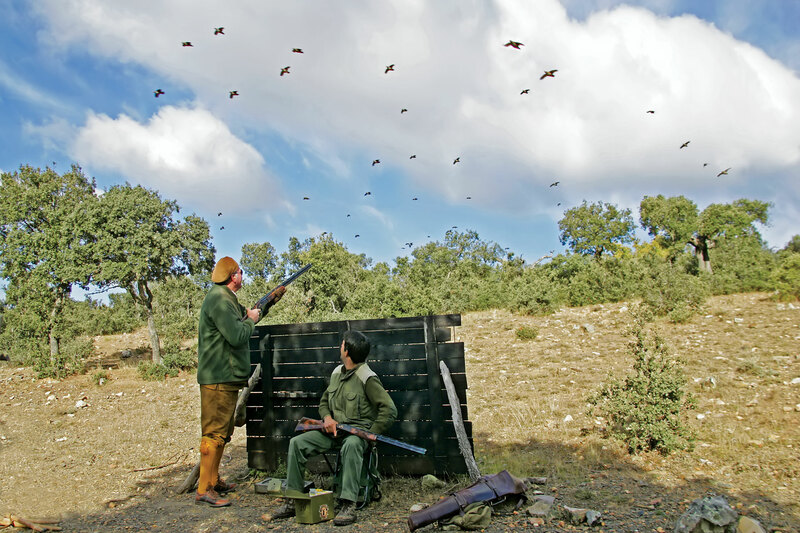 Anyone who wonders whether driven shooting in Spain compares to the English variety should consider the number of Brits found “on peg” in La Mancha each winter. The great Spanish estates—La Nava, La Cuesta, Ventosilla, Campillo San Juan, Fuensauco, La Flamenca—offer double-gunning like no other. 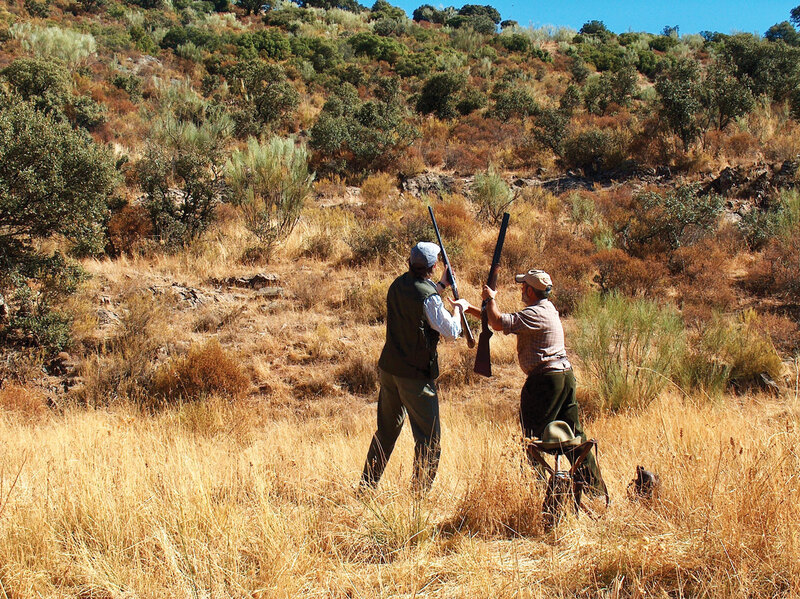 Your redleg partridge is not so daunting a target as the red grouse, but the sheer tonnage of partridge that pours over a Spanish hillside presents a unique test. It is the best of Argentina and Britain—the volume of the former with the challenge of the latter. When my Powerball ticket hits, here would be the plan: Right after each Christmas, following a month of grouse, partridge and pheasants in the UK, I would pack for warmer weather and fly into Madrid. My old amigo Carlos Rua, at Diana Campo, would pick me up. Then—after a restorative night at the Ritz—I would begin the Grand Tour, Part II. 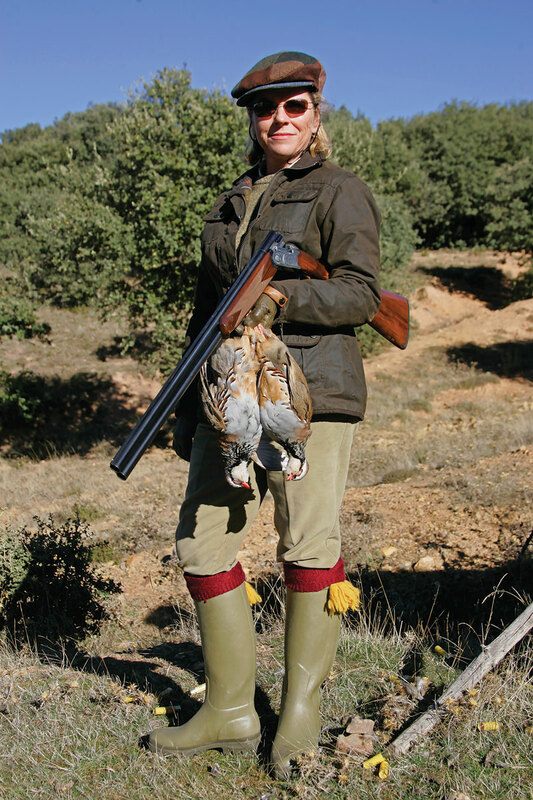 Spanish partridge offer a unique challenge, as the volume of birds can be overwhelming. Photographs: Author's photo (left); Gary Kramer (right). Like most males of the species, I’m a visually driven animal. 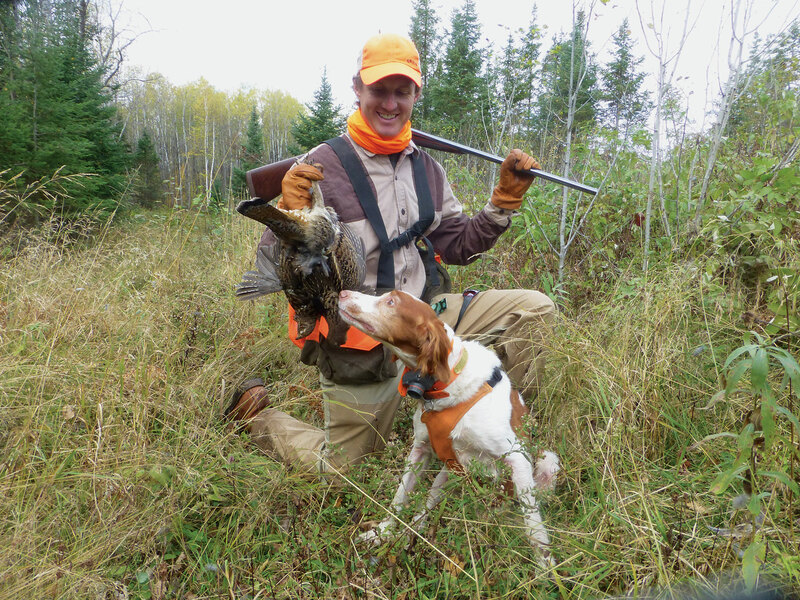 I’m also an upland bird hunter; a pointing-dog partisan and a lover of wide-open spaces and the wild, native, thoroughly uncompromising birds that inhabit them. 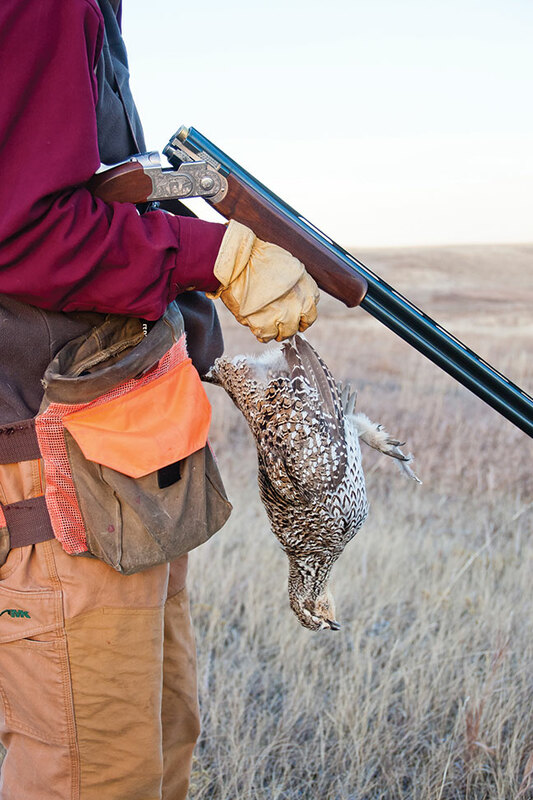 Mash up these ingredients, and you begin to understand why the prairies of North and South Dakota, with their wide horizons and grassland grouse, are my favorite places to hunt. There is a heightened drama, a stripped-down purity of intention. To watch a dog with a high head, a cracking tail and a clear sense of purpose sail over a sea of grass is to feel oneself pulled along in the slipstream. And to see that dog whipsaw onto point, knowing that she’s found the hidden thing whose heartbeat is coded in her genes—the thing ultimately responsible for all she is—is to feel the full weight, even majesty, of the upland experience. A sharptail from the Dakota prairies. Photographed by Dale C. Spartas. So many gamebird places, so little time . . . .
Give me a day in southwest Saskatchewan on any one of a thousand abandoned farms in any year there is a bumper crop of Hungarian partridge and sharptail grouse. Unpredictable and often hard to find even in banner years, Huns and sharpies are tough to bag, assuming you can get within shooting range of the covey rise. Hunting the “Land of Living Skies” turns back time 50 years or more when access was easier (unposted land remains open to all), birds were plentiful and hunting competition was scarce. Wheatfields are enormous—think Kansas on steroids—and rural people have mostly gone to live elsewhere. If you do see someone, it probably will be a tractor-driving farmer who is likely to tip his hat and wish you good luck. All that and more happens here, where time seemed to stop a generation or two ago. 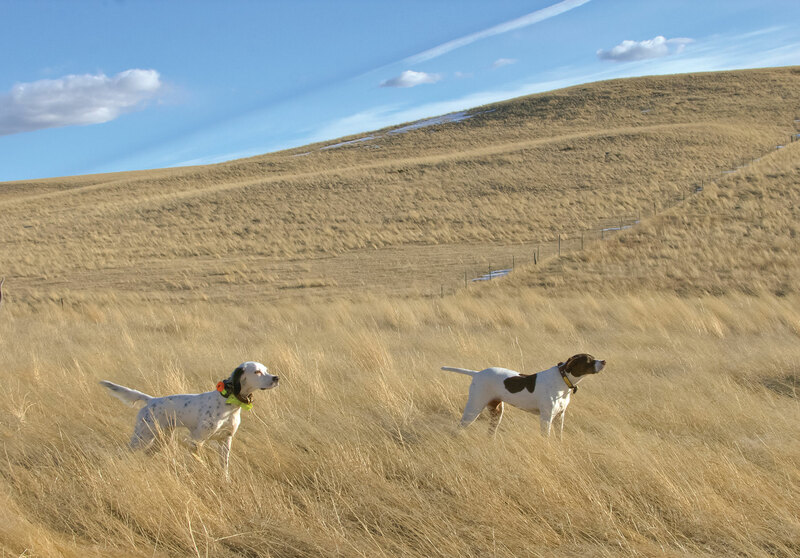 A pointer and setter with nosefuls of bird scent in Saskatchewan. Baja, California, Mexico, is tops on my destination list. From my Western location, it’s relatively close and has a unique range of wild birds. In the north hordes of pheasants inhabit milo and cotton fields, while white-winged, mourning and Eurasian collared doves jet by overhead. Speedy California and Gambel’s quail are on tap for the nimble wingshot. Fine shooting for Pacific brant also can be had farther south. All of my shooting has been with Arturo Malo of Baja Hunting. He has been in business 30 years and, since my first hunt with him more than 20 years ago, I have seen nothing but improvement in his operation. His white-stucco/red-tiled lodge, built just south of the border near Mexicali, is a favorite and offers secluded comfort not seen this side of Cordoba. Baja is in the State Department-listed safest part of Mexico. A California quail perched in Mexico. Having visited 64 countries, I am fortunate to have a long list of favorite wingshoots. But if I had to pick one over all others, it would be duck hunting in Buenos Aires Province, Argentina. Consider this: Most flights from the US arrive in the city of Buenos Aires in the morning. 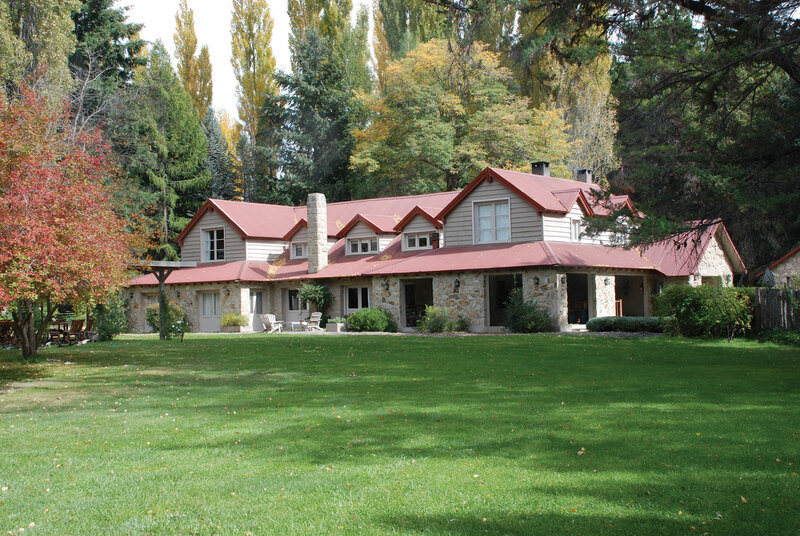 Clients are met at the airport, and then it’s a four-hour drive to Estancia San Martin. 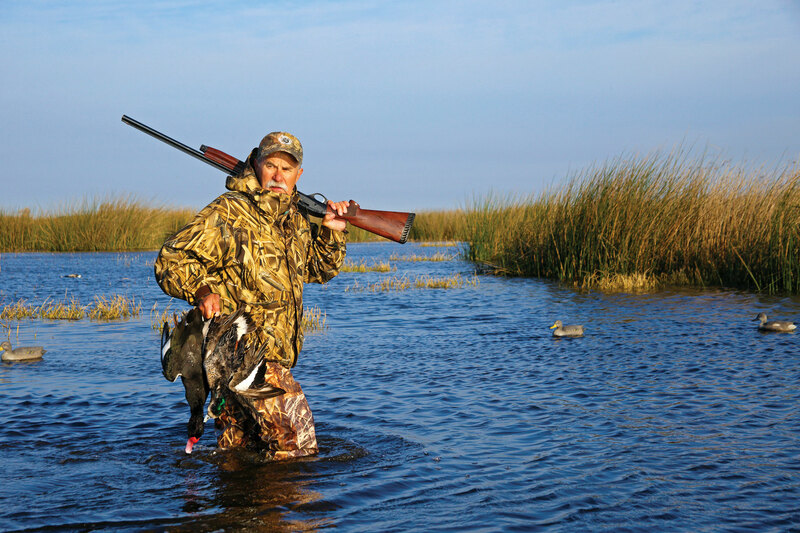 Morning and afternoon duck hunts take place only a 10- to 30-minute drive from the lodge. Hunting is over decoys, and ducks are abundant, with up to 13 species available. There are two hunters per blind, and a bird boy sets out the decoys, does the calling and retrieves the birds. The food is amazing, with red wine and legendary Argentine beef along with the best wild duck I’ve ever tasted. Great hunting, good food and some of the best guides anywhere make this place a clear favorite. Buenos Aires Province boasts 13 species of ducks. My favorite wingshooting area is the fabulous Klamath Basin, straddling the California-Oregon border. 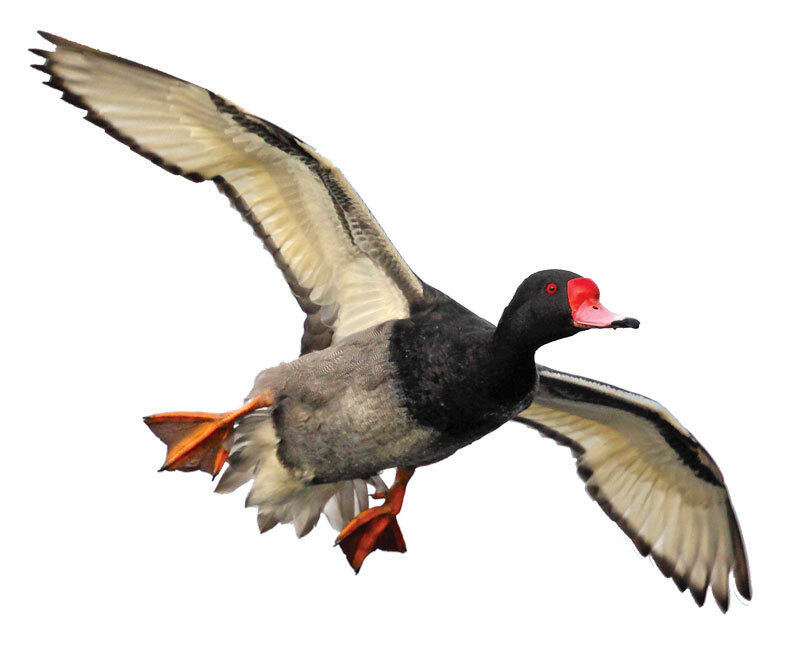 Waterfowl have used the Klamath Basin as a major stopover in the Pacific Flyway since time immemorial. The Basin sports a peak population of 1.5 million waterfowl in the fall, down from 6.5 million in 1905 but still the most in all of North America. Because I live in the middle of it, it takes me only 11 to 30 miles of driving to hunt principally on public land or water. What’s more: We enjoy an effective 120-day waterfowl season. This hunting paradise contains no less than six national wildlife refuges covering more than 200,000 acres—with all of the refuges open to bird hunting but one. Additionally, there are many hundreds of thousands of acres of private irrigated grain and alfalfa fields. Principal duck species are mallards, wigeon and pintails, with large Canadas, white-fronts and snows making up the geese. 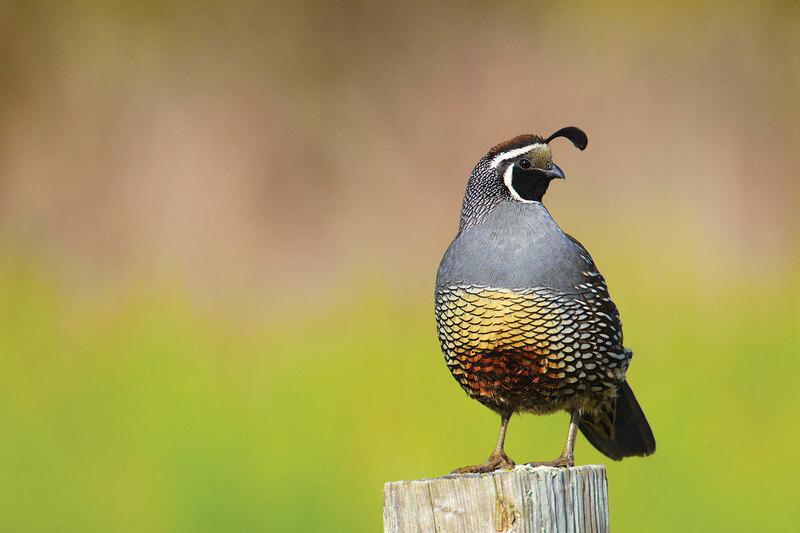 California quail hunting is excellent in surrounding public and private steppe-sage/native-grass habitats. There are no destination lodges and almost no guides here. And the locals like it that way. The Klamath Basin has ducks and geese both. If I were forced to choose just one place to live out my sporting days, I would buy a one-way ticket to Patagonia. This land of vast estancias and picture-postcard scenery is rife with game but sparse with people. It is wild country—a dramatic landscape of mountains, deserts, pampas and grasslands hemmed in by oceans. And in the Andean foothills of the northwest is a lodge known as Tipiliuke. 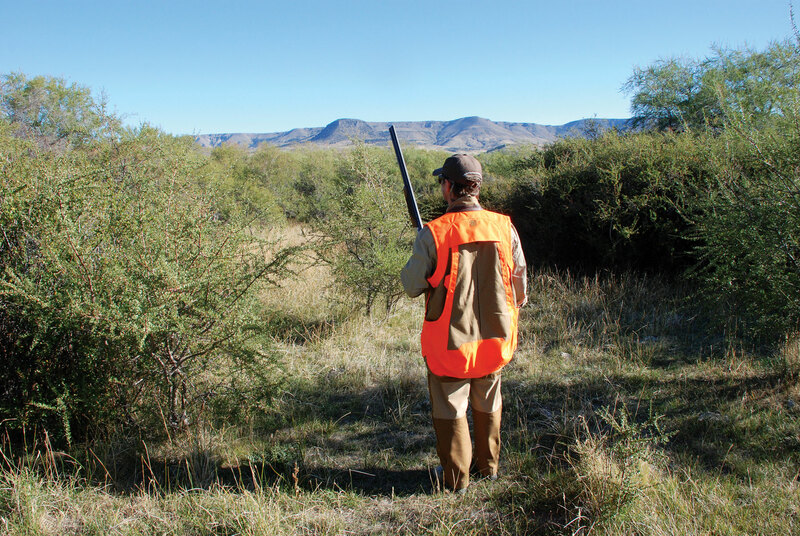 Nestled in a lush valley on 50,000 acres of land, the estancia is an eden for fieldsports. Large coveys of California quail—many of which have never seen a dog or heard a gunshot—hold tight and offer fast shooting. Hefty brown and rainbow trout sip flies in gin-clear rivers. Free-range red stags roar on hillsides inviting challenging stalks. Even Russian boars prowl the property and present random shots. The sport is such that the luxury accommodations and gourmet dining are almost an afterthought. Almost. Which is why I could retire here without regret. 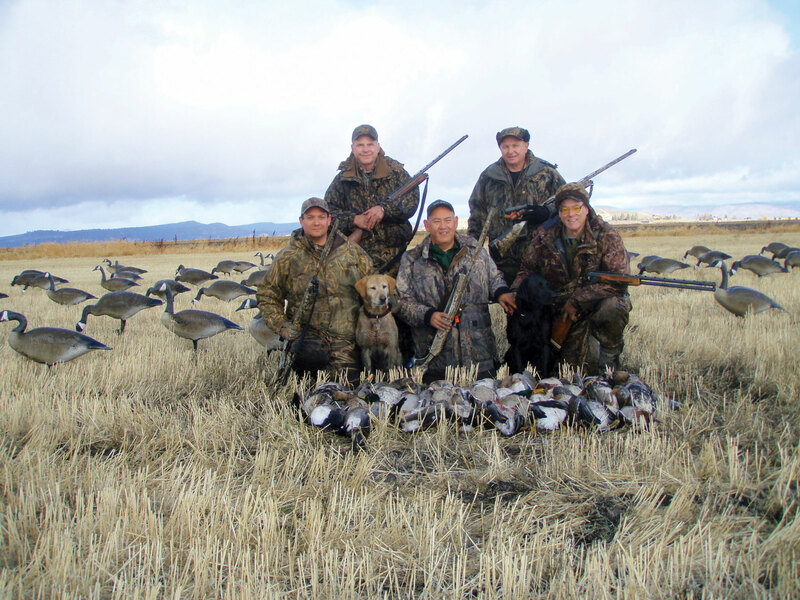 Patagonia offers wingshooting, stalking and angling in stunning surroundings. 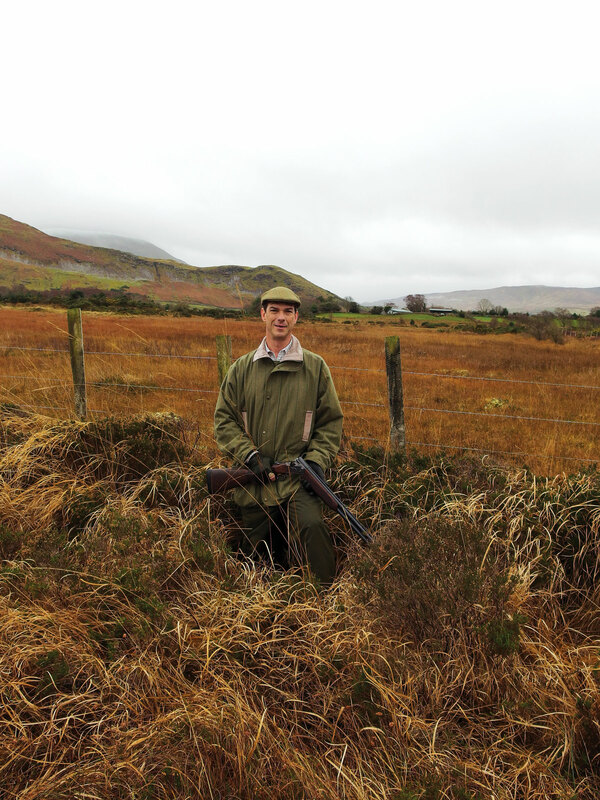 There are lots of reasons to visit other parts of our planet to shoot game. For some, high bird counts and generous limits are the instant antidote to our own low wild-bird numbers. For others, wine and food are huge magnets. Yet others enjoy collecting exotic species unfamiliar at home. One destination that can provide all of these experiences is South Africa. Cape turtle doves furnish volume shooting wherever sunflowers are grown; the wine-growing regions of the Western Cape offer the best of culinary and oenology experiences; and guinea fowl, sand grouse and francolin offer a panoply of mountable specimens. Gray-winged francolin, or “bergpytrs,” in particular are a bantam-size beastie well worthy of our attention. They sit like stones for a pointing dog, live in large coveys and fly like chukars on aviation fuel. Further, they are found in beautiful mountainous country free of human habitation. They are the champagne-and-oyster shooting of South Africa and the ultimate goal for the worldwide wingshot. 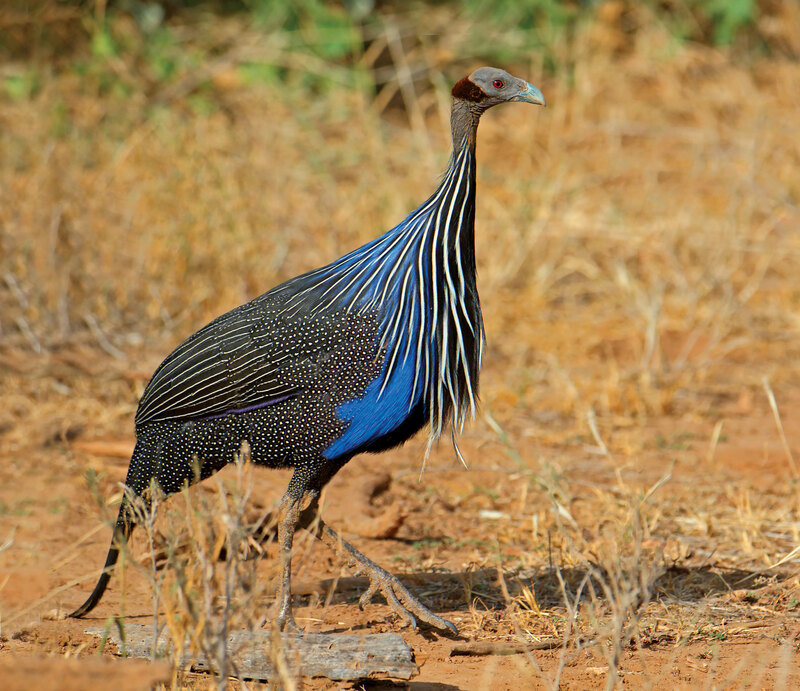 One lure of South Africa is “collectible” species like the helmeted guinea fowl. Wild birds in scrappy places and a haunting sense of hunting through history are a couple reasons I’ve returned time again to shoot woodcock and snipe in the “wild west” of western Ireland. Amidst the briers and brambles of Aghalard, a ruined castle perched on an overgrown limestone ledge, mud and sheep shite squish underfoot as woodcock twist and dart overhead, driven from cover by David Ryan and his small team of beaters. A glance at the ruins reminds you that more than the blood of gamebirds has been spilled where you stand. At the old Ashford estate there are the remnants of rides—paths cut through the oaks in Victorian times to funnel woodcock toward waiting guns—where you may take a place where the eccentric Lord Bandon once shot while astride a very well-trained pony. When November arrives, western Ireland becomes a magnet for European woodcock, lured from the frozen north to its balmy climate and fertile coverts. I come for the birds—always wild, ever unpredictable—but most of all I come for the people: David and Martha Ryan will welcome you as friends at their cozy riverside lodge in the village of Cong, where craic abounds in the pubs and where the Guinness flows long after it is prudent to drink it. Photo courtesy of Ryan’s River Lodge. Western Ireland means snipe in boot-sucking bogs and woodock in the thick and gnarly. The shooting school, which is set on 65 acres, features a outlet and is home to The Really Wild Clay Company, which arranges simulated shoots across the UK.